Bathroom trends come and go but these sizzling hot trends are here to stay, at least for a while! This has been one of my favorites, even before 2016 hit. 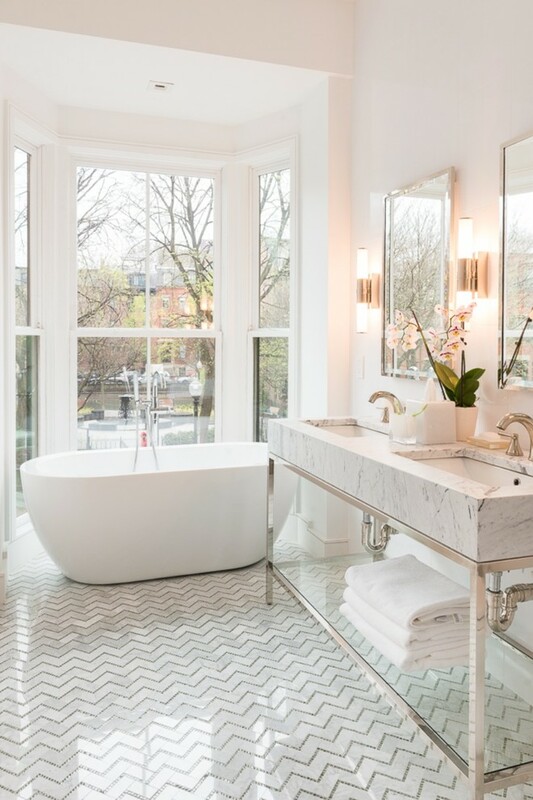 There is something about chevron tiles that is classic, sophisticated, and simply looks amazing in a bathroom. Instead of installing tiles horizontally, zig-zag them for a modern twist. 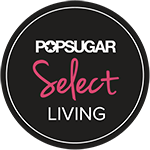 Now this is a winning trend if you live in a hot climate and want to take down the temperature a notch this summer. 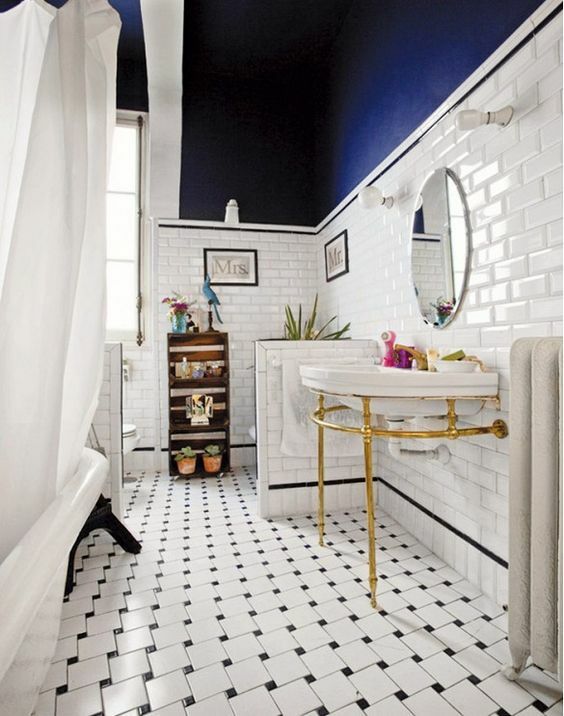 Cool tones are a bit bathroom hit for 2016. Think blues and emerald greens. Pair them with crisp white touches of wood, tiles, and metallic accents. Metallic accents and exposing your sink pipes is becoming a trend that leans more on the industrial trend (also popular for 2016). Exposing copper or chrome pipes adds a retro industrial look that looks stunning against neutral or even black and white tiles. You may want to call a professional to help you out with this one, someone like Los Angeles plumbing can clean out your pipes and install some more fashionable ones. This is a trend that may take a little getting used to – using wood in the bathroom has become hugely popular and stylish. 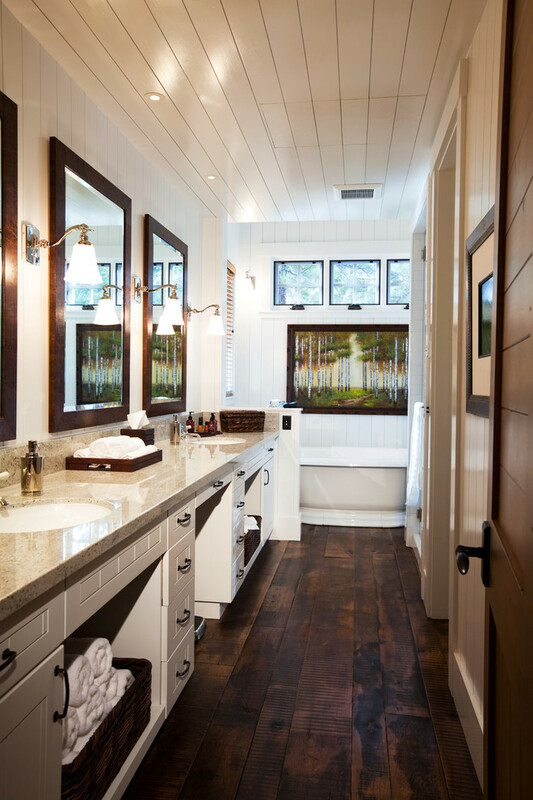 Timber products such as wood wall tiles, planked floors, and even wood sinks, vanities, and various other bathroom elements are hotter than ever. We will let you choose if you want to try this one out, so far we aren’t sure if it’s a keeper! Not a fan of pink? Your bathroom doesn’t need to resemble Barbie’s but injecting a hint of pink can do wonders for a bathroom. 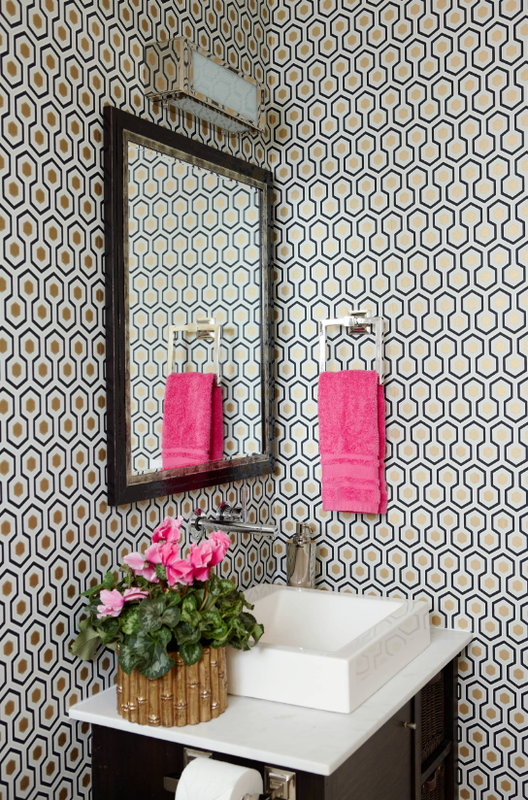 Fuchsia hand towels, a small pink rug, or even a simple pink flower will add energy and color to a neutral bathroom. After Kylie Jenner debuted her ultimate glam room (we blogged about it here), bathroom dressing rooms have become hotter than ever. Add a little luxury to your bathroom by sectioning off a space specifically for getting glammed up. One thing is for sure; you’ll feel like a star when getting ready to go out! This trend actually started last year, but it’s continuing full speed ahead into 2016. 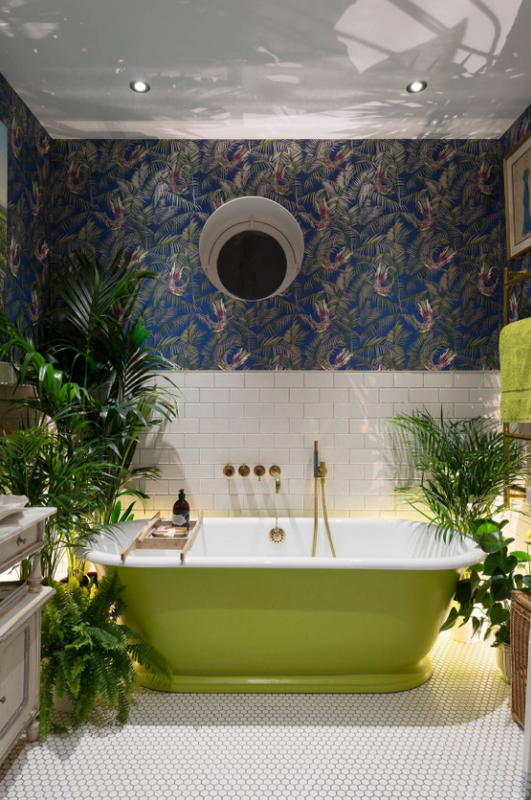 Decorating your bathroom with leafy greens isn’t a simply accessory – it’s a bathroom staple. I think this is pretty much a no brainer for bathroom décor since it makes your space feel more alive and relaxing. You would be surprised at what a big difference a few plants can make. This entry was posted in Bathrooms and tagged 2016 bathroom trends, bath decorating, bathroom ideas, better decorating bible, easy, interior design blog, summer bathroom makeover. Bookmark the permalink. I really like the idea of unpacking a few sentimental items at a time. I think that it can really help you stay organized while redecorating your home. This way they are not in your way.